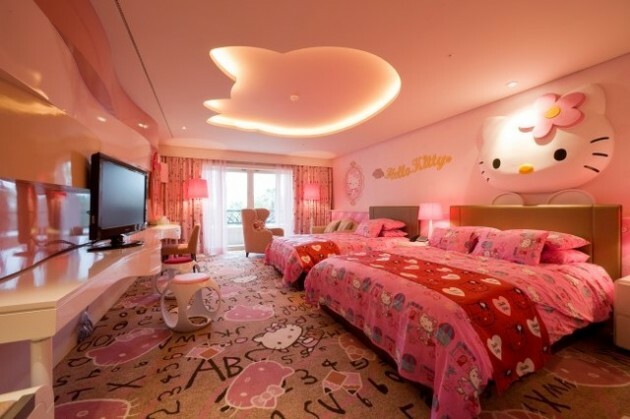 For decorating of the children’s rooms has a myriad of ideas, but they are often very expensive to realize. 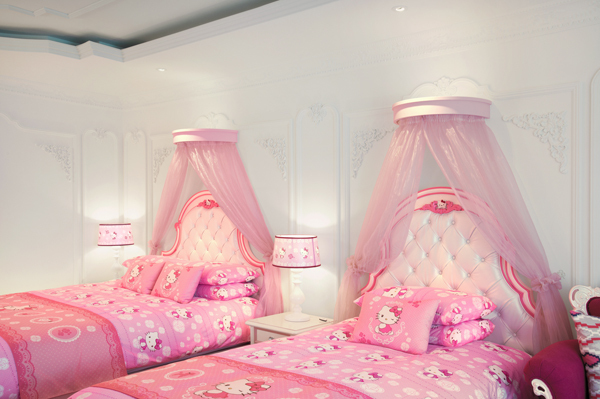 With the help of the colors, you can create a miracle and with little money. 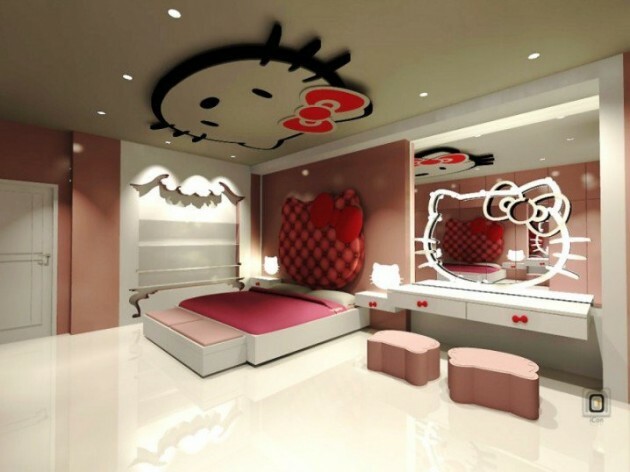 Painted walls with bright colors are incentive for new serious tasks. If you work along with the children the period of schoolwork in front of them can be more beautiful. 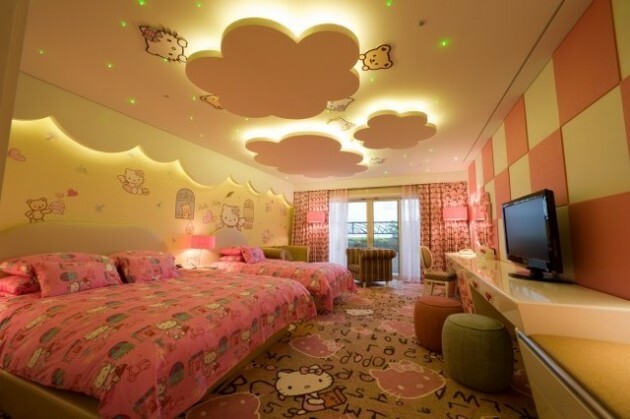 Pleasant working environment can contribute to the children with more joy to do their tasks. 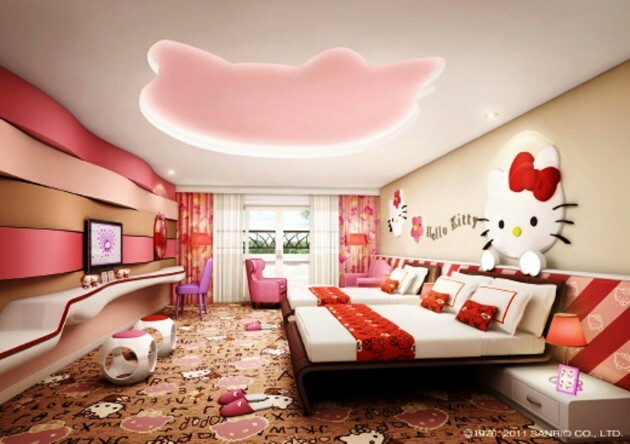 The most famous cat in the world Hello Kitty is favorite to many girls and adult women. 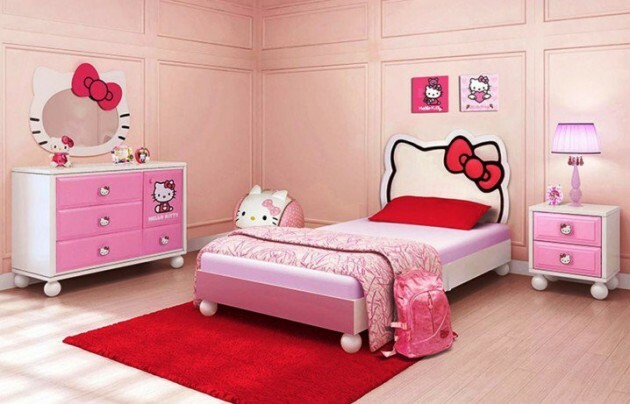 In the photos you will see some rooms for girls in pink, whose interior completely is marked with motif of the popular cartoon character: chest of drawers, bedside table, dressing table, mirror, headboard and other details are inspired by the image of this sweet cat. 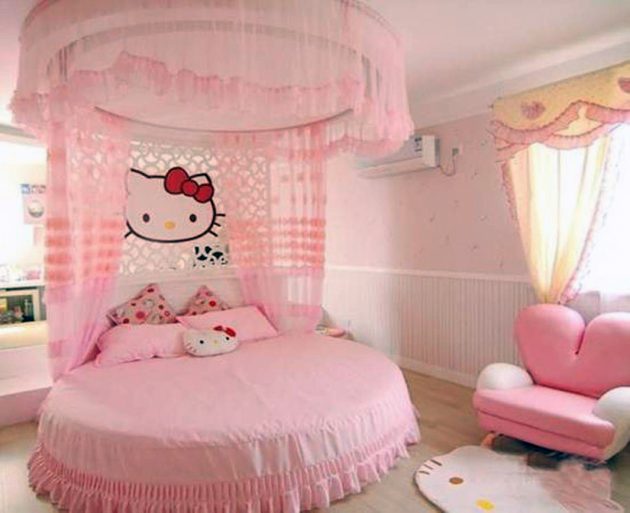 Bedding, curtains on the beds, baby lamp, details on the wall of your room will turn your room into the realm of Hello Kitty. 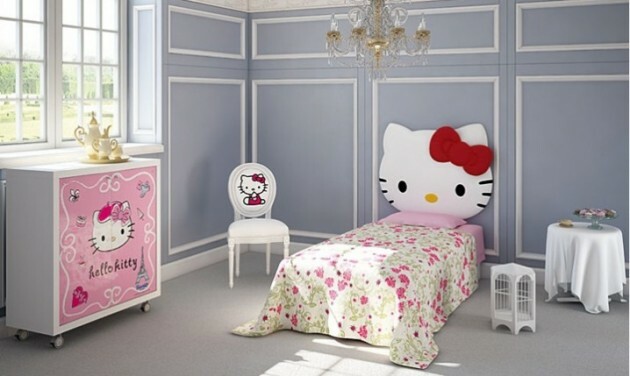 You can opt for Hello Kitty bedding. 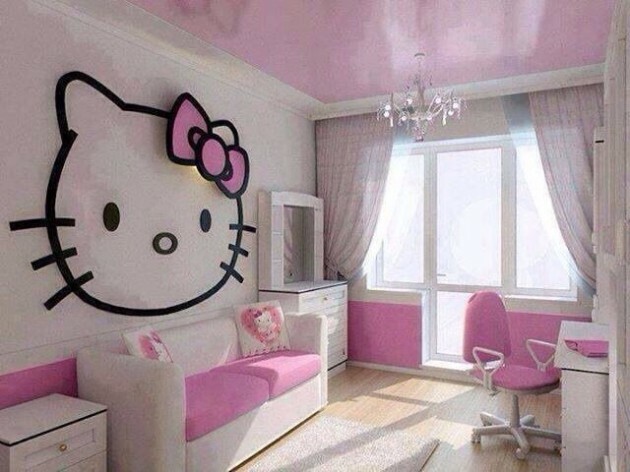 Sometimes it is sufficient only one or a few small details that emphasize the character of the room, and the room will look so beautiful with the motif of the popular Hello Kitty. 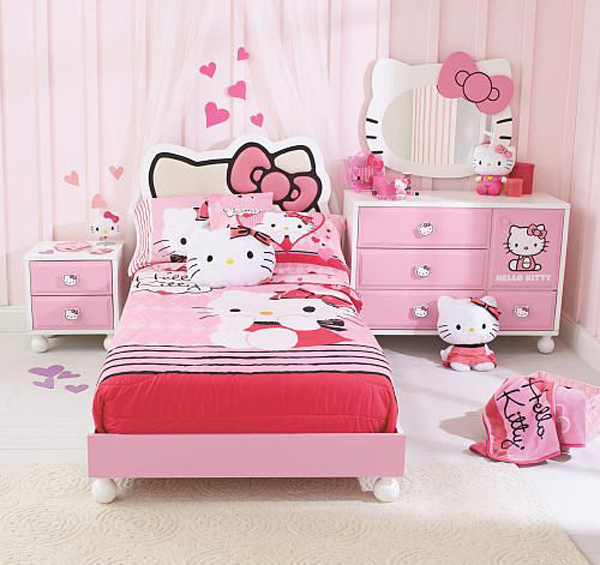 See our examples and get inspired to do the same for your little princess!